But it sounds like the developers have their priorities right, at least. 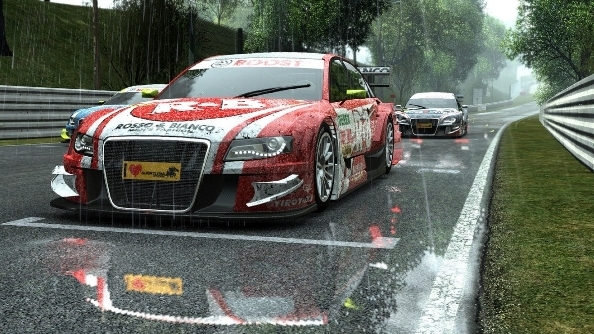 Project CARS was a bit of a looker, a legacy that Project CARS 2 looks set to continue later this year. In fact, the game is so graphically impressive, that it will be unable to hit 4K and 60fps on any of the consoles- including Microsoft’s Xbox One X. Posting on GTPlanet’s forums, Slightly Mad Studios’ Ian Bell said that the game is currently sub 60fps at 4K on the Xbox One X, and that it is hard to hit 4K as long as the game continues to look as it does. As a result, the game is unlikely to hit 4K at all, since Slightly Mad will be attempting to prioritize frame rate (although he did add that even locked 60 frames per second are not something they can commit to on consoles). Which is a shame- but it is good to see the developers at least having their priorities right. Project CARS 2 launches later this year for PS4, Xbox One, and PC.